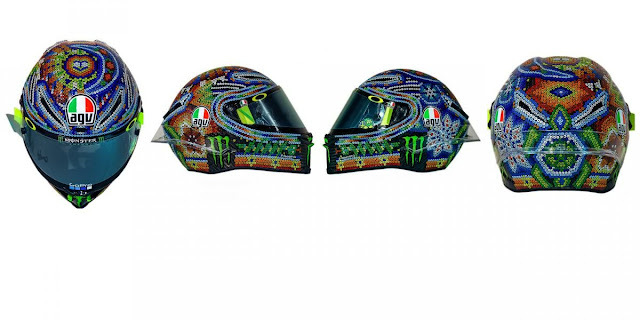 Valentino Rossi (Movistar Yamaha MotoGP) has taken inspiration from Huichol art for his 2018 winter testing helmet design, first set to be used at a private test for Yamaha at Sepang underway soon. 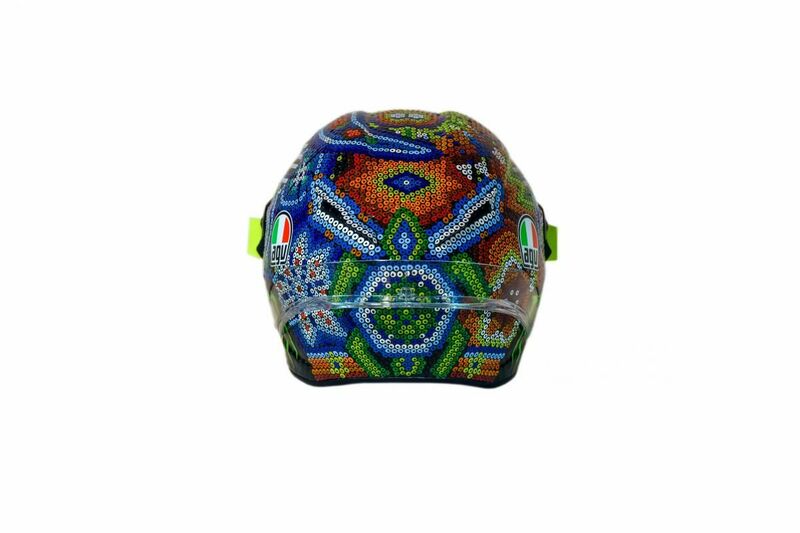 The Huichol people, indigenous to the Sierra Madre Occidental in Mexico, are known for the bright colours and designs from which the rider from Tavullia has taken inspiration – and the results are spectacular. 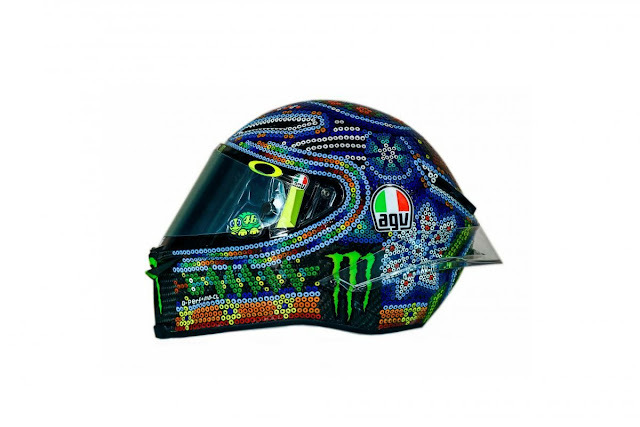 Davide is Davide Degli Innocenti, graphics and colouring manager at Drudi Performance, who has made the limited edition helmets into true artisanal originals – ready to hit the track with the ‘Doctor’.